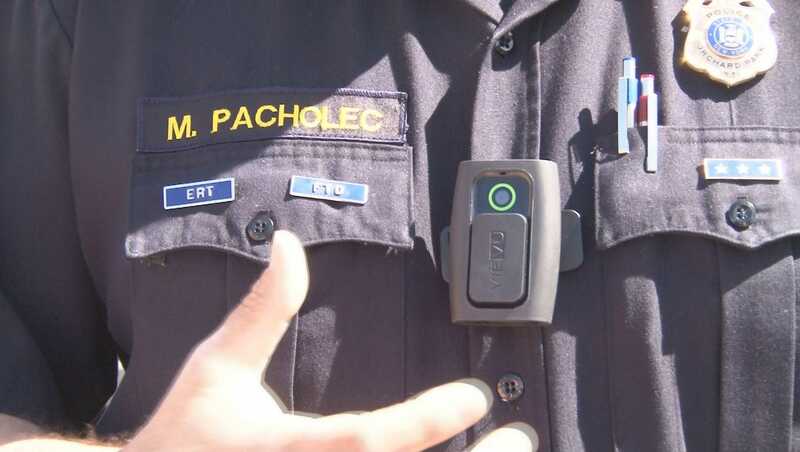 A growing number of police agencies are adopting body cameras that officers wear while on patrol, providing a better account of what happens during interactions with the public. The cameras, about the size of a pack of cigarettes and worn on an officer's chest, can record at angles civilian cell phones and police cruiser in-dash cams can miss. "In a couple of decades... every public safety employee, police officers, firefighters, paramedics, everybody will have them," said Charlie Beck, Los Angeles Police Department (LAPD) chief. "I think it improves behavior on both sides of the camera, which is our goal." In addition to police officers behaving more appropriately, citizens - and potential suspects - could behave better if they know they are being recorded. However, there are privacy concerns because police officers are not required to inform people if they are recording. "People behave better," said Peter Bibring, ACLU director of police practices. "Officers are less likely to initiate uses of force and apparently to initiate conduct that might draw up complaints if they're wearing body cameras. But we do think that they're privacy concerns that need to be addressed through strong policies... if you don't have strict policies in place to prevent videos from getting out, they will get out."